We’re all familiar with Huawei’s high and mighty Kirin 970 mobile processor manufactured by their own semiconductor subsidiary HiSilicon. But, the Chinese giant is now gearing up to unveil the Kirin 670 chipset for budget and mid-range smartphones and the latest leaks suggest that it will feature a dedicated neural processing unit to handle on-device artificial intelligence (AI) computing tasks. As revealed in a recent report, the Hisilicon 670 processor is being manufactured by TSMC (Taiwan Semiconductor Manufacturing Company) using its 12nm FinFET process. The Kirin 670 is expected to feature a hexa-core processor, comprising of four Cortex-A53 cores and two Cortex-A72 cores. While the former core is designed for energy efficiency, the latter is going to come in handy for high-performance applications. This internal setup is quite similar to HiSilicon’s 9xx series, Kirin 950, chipset. The Kirin 670 chipset, as the report further states, will be paired with the Mali G72 MP4 graphics chip that was first included alongside the Kirin 970 chipset. This is going to give the chipset necessary power to manage high-end graphics loads and games quite easily. 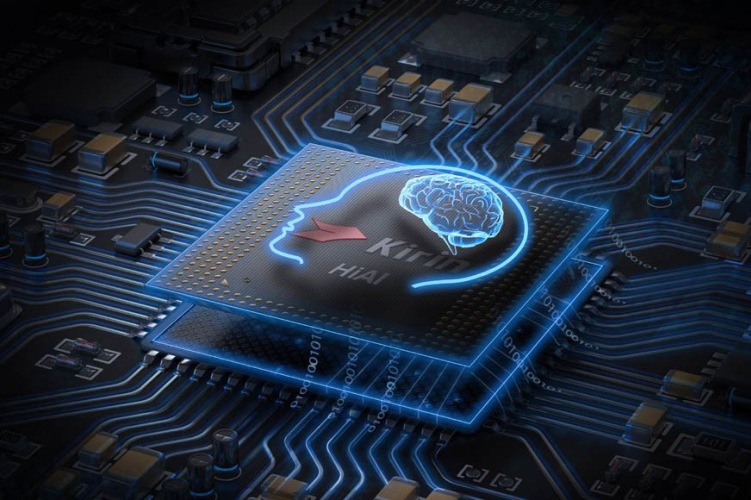 Coming back to the artificial intelligence core of the Kirin 670, the reports suggest that it’ll be based on the same architecture as the flagship Kirin 970 chipset. While it may come as a surprise to many, Huawei is just fulfilling its promise to bring AI smarts onboard its new budget smartphone chipset. There is currently no word on how beneficial the NPU chip is going to be in the Kirin 670 chipset in comparison to the Kirin 970, but it will certainly fare well for workloads on mid-range smartphones. According to analysts, Huawei has designed its processor such that it is going to compete against the likes of MediaTek’s Helio P60 and Snapdragon’s new 600 series or 700 series. The Hisilicon Kirin 670 processor will be a significant upgrade over the currently used Kirin 659 processor, which powers budget devices such as Honor 7X and Honor 9 Lite. It would provide Huawei and its sister company Honor’s upcoming budget and mid-range segment devices the necessary power and smarts to compete against its competitors, not just in its home country, but also in India.